Are you a high school scholar struggling under the weight of finals? Feeling the pressure and anxiety to get good grades on all your exams? Well, if you are, this is the easy-to-read, straightforward blueprint for your ultimate success. If you follow these simple, practical steps, your performance will skyrocket. Guaranteed. First things first, you need to get yourself energized, and you need to do it quickly with the least amount of effort possible. Behold, energy drinks! Chill it for a finished flavor, pop it, and guzzle that stimulating liquid. 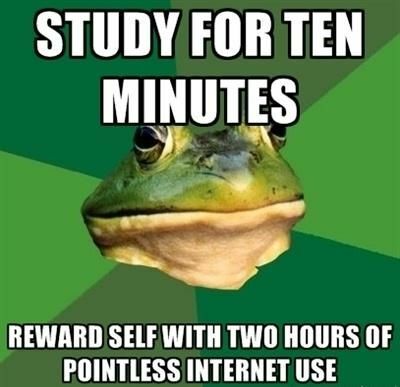 No need to worry about conking out during studying or testing. Now that you’ve got yourself invigorated, it’s time to study. The optimum way to maximize the fruits of your careful and faithful studying is to delay until the very last possible minute. This allows to cram in as much information that is humanly possible for your brain to recollect. Studying is exhausting and every once and awhile, a well-deserved break is due. Going on your smartphone is the perfect way to relax. There’s a plethora of apps to help take your tired mind off of your taxing studies. Watching videos on YouTube, checking out hot new memes on iFunny, playing games like Angry Birds or Candy Crush, or visiting Instagram and other social media apps are all part of a comprehensive list of excellent time-wasters. Who says studying needs to be difficult, boring, and monotonous? Well, it doesn’t need to be! 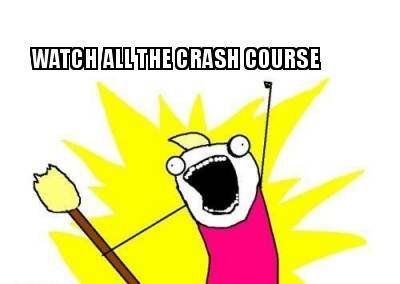 Say hello to Crash Course. This popular YouTube channel posts a wide range of videos covering various academic subjects, including: Economics, US Government and Politics, Astronomy, Anatomy and Physiology, World History, Biology, Literature, Ecology, Chemistry, Psychology, US History, Philosophy, games, and Physics. Whew! With these guys, you can forget about humdrum review guides from your teachers and just subscribe to their channel and watch their educational and witty videos. On the days of Finals, it is essential to bring the necessary accoutrements with you to your classes. Sharpened pencils, new pens, bright pink erasers, and a bottle of water for refreshment. Furthermore, if you want to appear “cool,” a Scantron pencil will definitely boost your personal popularity points. Who doesn’t want that? Scantron pencils not only look neat, but they’re proven to enhance your performance on tests. Now go out to Staples and procure yourself this lovely pencil. Keeping all of this in mind, this year’s final exams should be more successful than ever before. Following these steps will put you ahead of the game. When your teachers and parents are incredibly impressed by your test scores, remember to thank this guide for your achievement.